In the spring of 2011, the mayor of Louisville created a commission dedicated to planting more trees. This commission was to be co-chaired by none other than Katy Schneider, former deputy mayor of Louisville and advocate of environmental issues. Madeline Ostrander (2016) outlines Schneider’s efforts in creating a healthier environment for her city, and reminds the people of urban America of the environmental dangers their concrete worlds face in the absence of greenery. Ostrander recounts that Schneider’s journey began in early 2012 when Schneider approached Brian Stone, a professor at the Georgia Institute of Technology, to find out the extent of temperature changes in Louisville. Stone proceeded to reveal that Louisville’s temperature had increased by about 1.7 degrees every decade since 1960. Stone also noticed that urban areas were heating more than rural areas. He discovered that this situation was primarily caused by what meteorologists call the urban heat-island effect whereby dark and paved surfaces absorb solar radiation consequently causing the air temperature to rise. Approximately 2 months after the formation of the tree commission, Louisville was hit by an intense heat wave that resulted in the demise of 86 people. This spurred the Louisville government and Schneider’s commission, to commission Professor Stone to produce a finely detailed heat island map of the city. On the basis of Stone’s study, Louisville citizens and government began laying down lighter-colored pavements and planting trees in open spaces. The government also began incentivizing the installation of cool roofs and recently launched a public information campaign to help residents fight harmful heat effects. Schneider, for her part, started a volunteering association by the name Louisville Grows that would, in four months, plant nearly fifteen hundred trees. 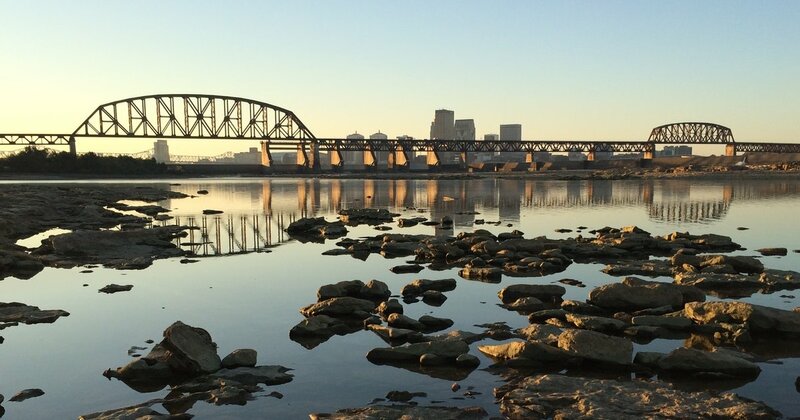 Sadly, despite the monumental steps taken by Schneider’s foundation and the Louisville community, Louisville is still threatened by the heat island phenomenon and is in need of nearly half a million more trees, according to Stone’s study. It is clear to see that initiatives like Schneider’s are crucial in tackling the problem of urban heat, but Ostrander emphasizes the need for a sustained movement by citing a published study by a group of scientists in Columbia University, New York that illustrates how the rise in temperature could see three thousand American lives perish yearly from heat until 2080. Thus, it is imperative that citizens of America a take cue from people like Schneider and take steps in the right direction otherwise the future of the urban America could look very dim. Ostrander M., 2016. As Our Cities Grow Hotter, How Will We Adapt?. The New Yorker. Elements section (September 2016). This entry was posted in Heat Waves, Vikramaditya Jhunjhunwala and tagged global warming, Katy Schneider, Louisville, Madeline Ostrander, The New Yorker, Urban Heat Islands by Emil Morhardt. Bookmark the permalink.